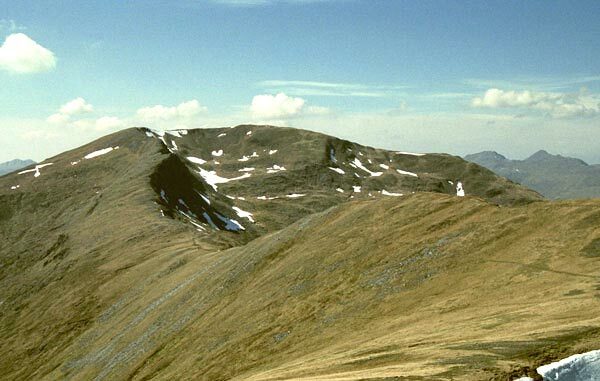 Sgurr an Doire Leathain is one of the 7 Munros on the 14km South Glen Sheil Ridge. 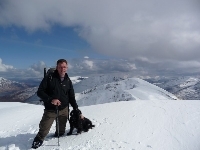 The ridge has steep slopes to the S and is very craggy with many corries to the N.
Sgurr an Doire Leathain is the most E peak of the W section and can be ascended by its SE ridge from Sgurr Coire na Feinne by following the path on the crest of Druim Thollaidh (the NE ridge of Sgurr Coire na Feinne) from Glen Shiel. 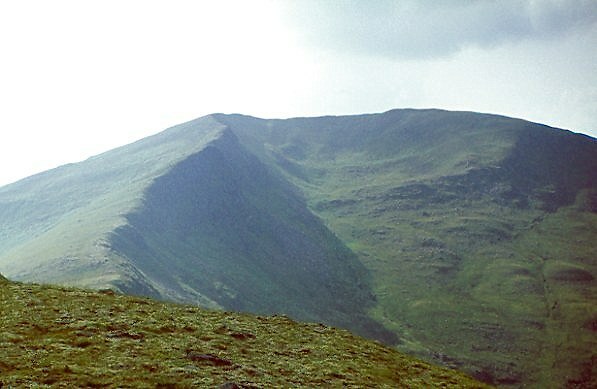 Sgurr an Doire Leathain, with Sgurr an Lochain to left, seen across Glen Quoich from Gleouraich. 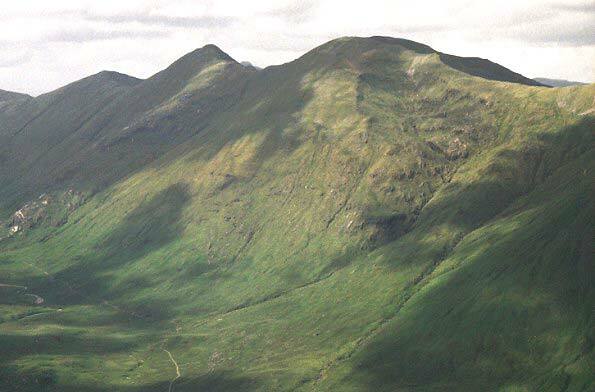 Sgurr an Doire Leathain seen from Sgurr Coire na Feinne. 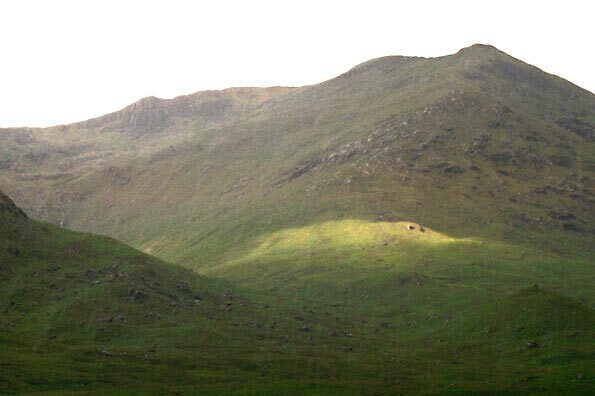 Sgurr an Doire Leathain seen from the A87 road in Glen Shiel. 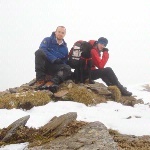 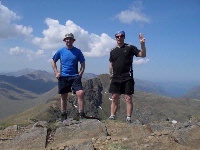 The summary information of one or more ascent routes that include Sgurr an Doire Leathain. 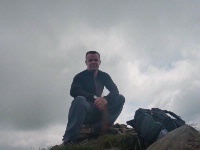 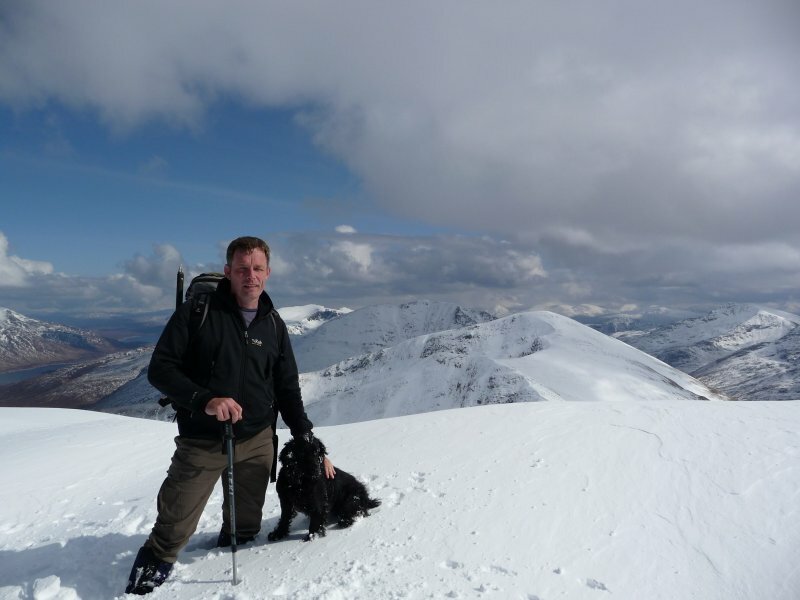 Post a few words about Sgurr an Doire Leathain or read what others have had to say.